TUCSON, Ariz. - Tucson Electric Power customers could see their monthly bills rise more than $8 starting next year. 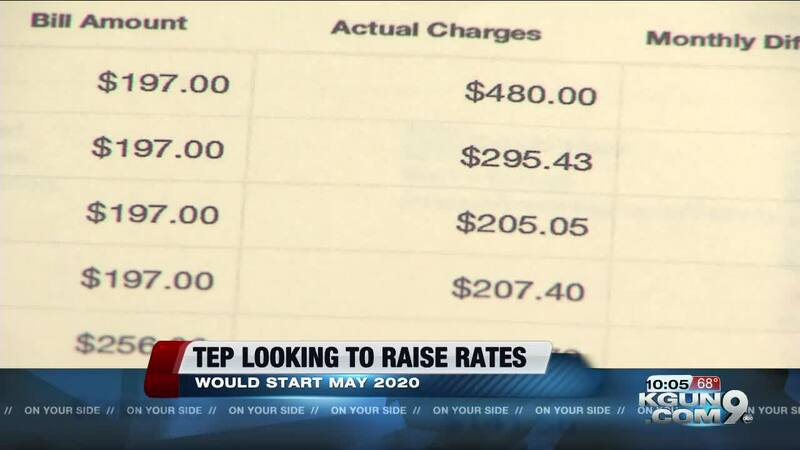 According to information posted on the utility's website , rates could rise in May 2020. TEP attributes the hike to "support support development of a smarter, greener grid to serve our community's growing energy needs." The company says current rates have not kept up with inflation, and do not reflect the $1.2 billion the company has invested in infrastructure since 2015. The last rate increase went into effect two years ago. Residential rates are estimated to rise between $7.97 and $8.86 per month, TEP says on its site. Joseph Barrios, spokesperson for TEP, says the rate hikes would support the switch from coal-fired resources, to those that are cleaner, and more sustainable. There are ways to save on your power bill if you're concerned about a rate hike. Barrios suggests doing laundry or running the dishwasher at night, during off-peak hours. If the Arizona Corporation Commission approves the new rates and you need help with your bill, TEP, the City of Tucson , and Pima County offer utility assistance programs.